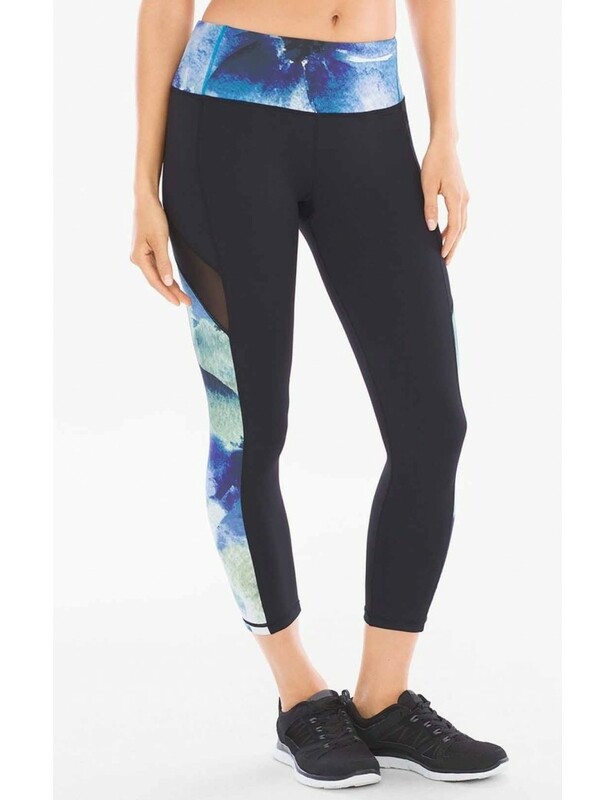 Switch it up in these reversible crop leggings, featuring control fabric at the waist. 83% nylon, 13% spandex. Lining: 84% nylon, 16% spandex. Machine wash. Imported. 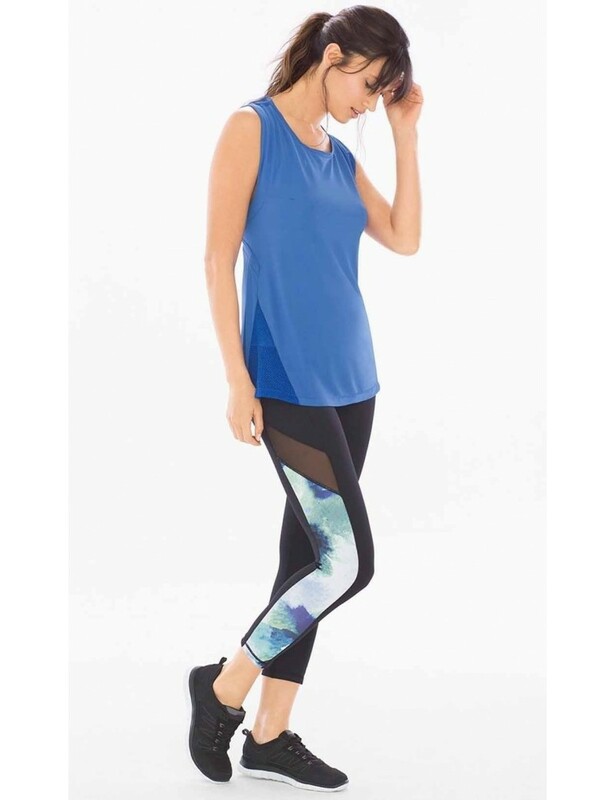 MSP by Miraclesuit Shades of Blue - Reversible Crop Leggings with elasticised waist, tummy control technology and sheer side panels.